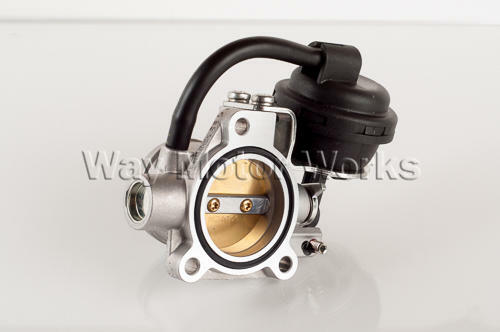 OEM MINI supercharger bypass valve for 2002-2006 R53 MINI Cooper S, and R52 2005-2008 Cabrio. If you've got boost faults, or loosing boost this very well could be the issue. The bypass valve has a vacuum actuated diaphram that can break, leak, or have the spring fail. If that happens the valve can stick open or closed causing drivability. comes complete as shown in pic as one supercharger bypass valve with actuator.